Check out this exclusive behind-the-scenes video from the photo shoot of the principal cast of Les Misérables last October. 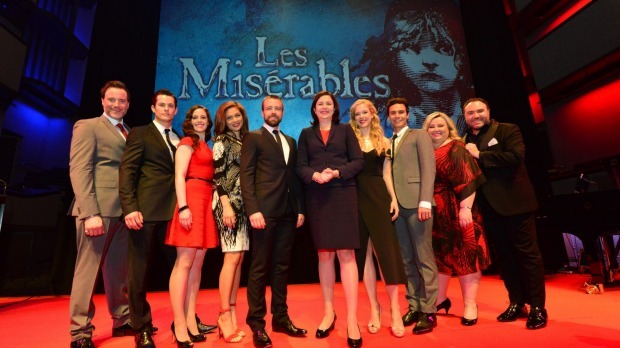 The cast was out of costume and looking glamorous before they began storming the barricades at Her Majesty’s Theatre. Tickets for the Melbourne and Perth seasons of Les Misérables are on-sale via Ticketek. Watch Out Sydney and Perth, Cameron Mackintosh’s Musical Phenomenon Les Misérables Is Coming To You In 2015! Cameron Mackintosh’s acclaimed new production of Les Misérables will be holding auditions for Melbourne-based children who can act and sing. The production will open at Her Majesty’s Theatre in June 2014, with rehearsals from May 2014. There are two female roles and one male role. Auditions have now closed.